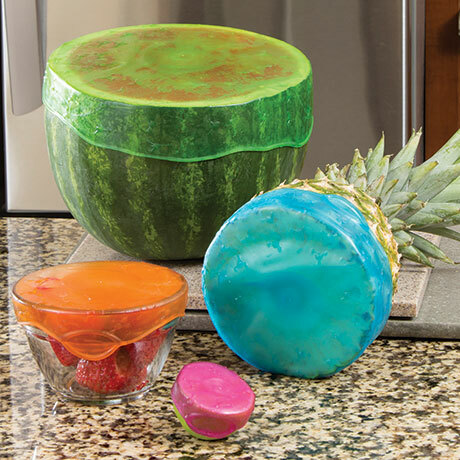 This set of food covers is super stretchy to stretch and cling over any size bowl or food item. Rubber pushes out air and seals tightly to preserve freshness. Reusable, refrigerator and freezer safe. A better alternative to plastic wrap! Hand wash recommended. 4 sizes 3.5", 2.87", 2.25", 1.25"